On June 24, 2009, Team Loimaa, Finland, signed Deonte Huff. 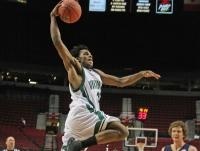 Huff played two years for Antelope Valley and received a full scholarship to Portland State University. Portland State was looking for “instant scoring “ and in the two years Deonte not only led them in scoring, but also led them in rebounding.